Samuthirakani directorial and played the lead role in the upcoming film titled Appa has announced its official release date as on July 1st. In the recent times there was a buzz that Superstar Rajinikanth's Kabali is out of July 1st due to technical reasons and many small budget film are making their way to the big screens. Promotions of Appa are ongoing at brisk pace in recent times. Appa also features Namo Narayana, Thambi Ramaiah, Vinodhini in crucial characters. Ilayaraja is the music director of this Nadodidal Production film. 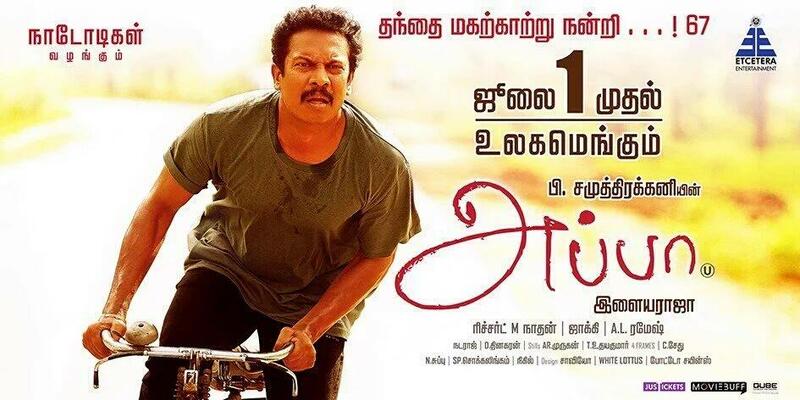 Write & Share about " Samuthirakani's Appa releasing on July 1st | Appa Tamil Movie News | Cinema Profile" !